First mid-engined, turbocharged Ferrari since the Ferrari F40. 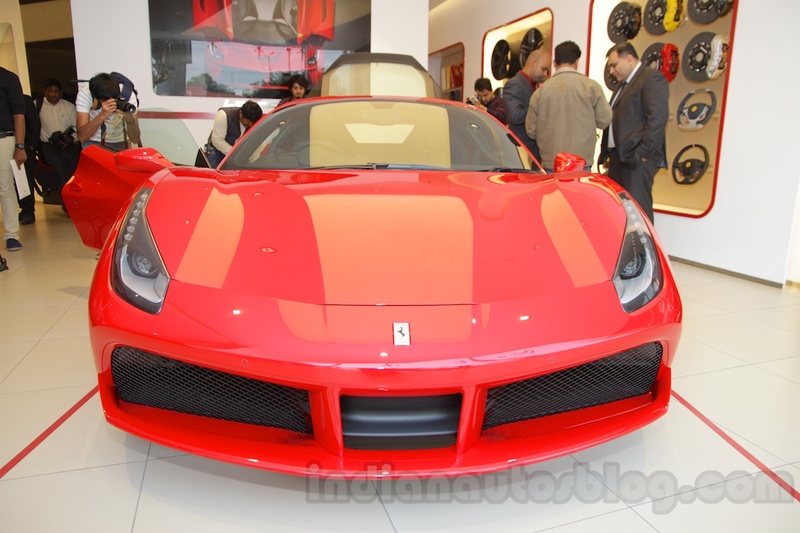 Ferrari has launched the all new Ferrari 488 GTB in India, nearly a year after it made its world debut at the 2015 Geneva Motor Show. Prices start from INR 3.88 crores (ex-showroom) and will be available with a plethora of customizable options that significantly raises the price. The Ferrari 488 GTB exterior is an evolution of the critically acclaimed Ferrari 458’s styling, rather than a new design altogether. Designed by Ferrari's own Design Studio, the exterior of the 488 GTB focuses on aerodynamic efficiency and cooling, featuring a revised front fascia with large intakes that channel air through the sculpted nose and towards the side. The most noticeable addition are the side vents, which help in cooling the new engine components effectively. The rear-end has revised taillights, a slightly redesigned air outlet, and a 458 Speciale-esque rear diffuser with dual exhausts. Given the stringent emission norms in Europe, supercar manufacturers look to turbocharging to balance fuel efficiency with power. 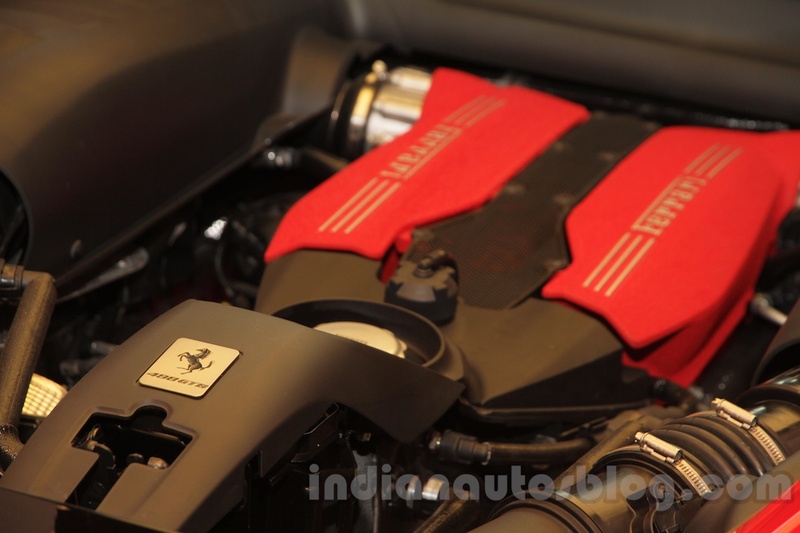 The 488 GTB is powered by a twin-turbocharged 3.9-litre engine that produces 660 hp at 8,000 rpm and 760 Nm at 3,000 rpm. It’s nearly 100 bhp more than its predecessor, the 562 bhp 458 Italia. Paired to an improved 7-speed double clutch gearbox, the 488 GTB can sprint from 0-100 km/h in just 3.0 sec with launch control, and reach a top speed of 330 kph. Thanks to the beefy carbon ceramic brakes, the Ferrari 488 GTB is capable of stopping from 200-0 km/h in 117 m.